How much do you think it would cost to replace every computer in your office, including your servers, all at once? If you had to replace everything, could you do so without taking out a sizable loan? Then, could you afford to turn around and do it again three years later, to keep up with technology? When faced with a challenge like this, many companies would not be able to afford to replace everything in their office at once. As it stands now, most businesses don’t have the kind of capital it takes to stay on top of constantly changing technology demands, and as such their business suffers. How much time and money wasted on slow computers, or computers that just don’t work right? How much more productive could your staff be if they had the proper tools available to them? Luckily, there is one solution that allows you to accomplish all this and more – hardware as a service. Hardware as a Service (or HaaS) is a business solution that allows you to upgrade your entire office to the latest technology, including: hardware, operating systems, and common business software like Microsoft Office, for one affordable monthly fee. 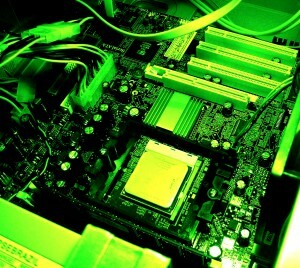 With Hardware as a Service you also receive ongoing monitoring and maintenance of your computers. In the event that something breaks or needs to be replaced, it is done so quickly and easily, at no extra cost to you. Ongoing monitoring also has additional benefits, as many times parts can be replaced before they go bad, allowing computers to be conveniently fixed on your schedule, instead of your schedule being disrupted by the outage. Additionally, your technology is upgraded every three years, ensuring that your business is always current with the latest, greatest technology, so that your employees have the best tools available to them. Instead of creating some crazy schedule outlining who gets the new computer in the office and when, or stressing over where you’re going to get the money to replace the eight computers that are slow and breaking, consider a better solution– hardware as a service. It’s the budget friendly alternative that allows you to get your office technology back on track, so that you and your staff can get back to running your business. Call us today to discover how quickly and easily you could upgrade your entire office 888.648.4333.